The Hôtel Le M, formerly Abba Montparnasse, is located in the heart of rue de la Gaîté,100 m from Gare Montparnasse and Tour Montparnasse, very close to Saint-Germain-des-Prés and the Luxembourg Gardens. The hotel offers 61 fully renovated, comfortable and soundproofed rooms, in an elegant and designer setting. 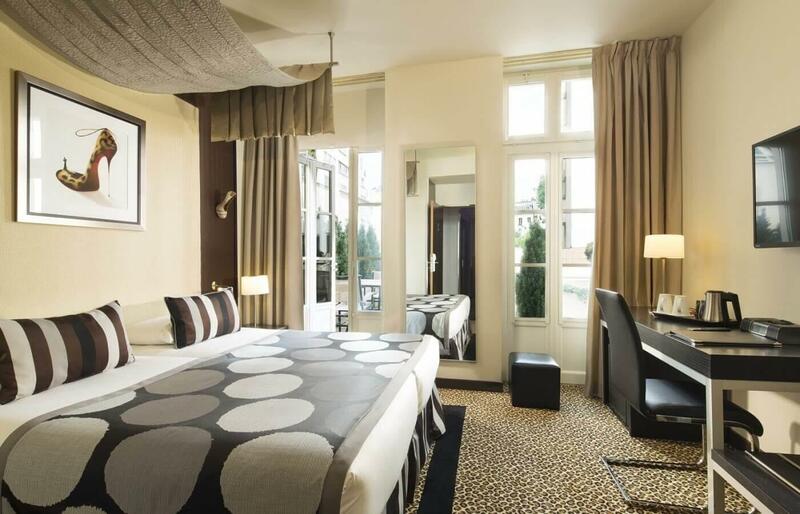 The Le M Hotel is perfect for a business trip, a romantic getaway, or a family weekend.